Newton, Mass. – There is simply no denying the fact that St. Peter-Marian is one of the hottest programs in the state right now. 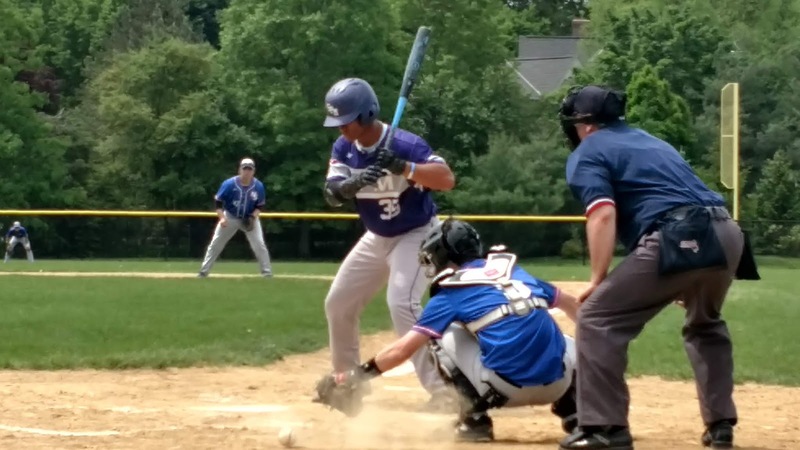 Following Saturday's six-inning, 13-1 thumping of Newton South as part of the Malden Catholic Tournament, the Guardians have now rolled off 10 straight victories since the beginning of May. Now at 12-4, the Guardians believe they are worthy enough to be apart of the Super 8 discussion, yet are staying with the old adage of one game at a time. 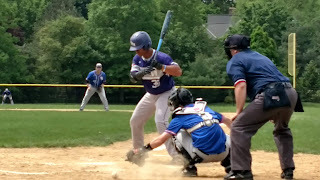 On Saturday afternoon, St. Peter-Marian belted out 11 hits while taking advantage of six Newton South errors. Tied 1-1 after four innings, the Guardians re-adjusted their approach at the plate scattered balls all over the field. A five-run fifth inning was proceeded by seven more in the sixth to put this one well out of reach. Sophomore Aidan McAvoy and senior Kosta Drosidis led SPM's offensive assault collecting three hits apiece and combining for five RBIs. In both the fifth and sixth frames, respectively, SPM batted through the order, handing the Lions their 12th defeat in 18 games. In the deciding fifth, Dan Malm opened things with a swinging bunt single. Frank Hernandez followed up with a line single to put runners on the corners and a walk to Jared Kapurch loaded the bases. Drosidis and McAvoy followed up with consecutive RBI base hits to make it 3-1. Will Bruno next grounded a bouncing ball the led to a fielding error at shortstop plating two more runs to put the Guardians on top 6-1. After reliever Ted Landay was brought on in relief and was able to stop the bleeding momentarily in the fifth, the Guardians' got to him in the next frame. Malm opened things with a single. After stealing second and moving to third on a wild pitch, the senior trotted home on another Lioners’ fielding miscue. Hernandez then walked and the sophomore came around to score on Drosidis' hard single down the left field line, increasing SPM's advantage to 8-1. The rout continued with McAvoy roping a two-run single into left field to make it 10-1 Guardians. The Lions went down quietly in the bottom of the sixth against reliever Carter Liston to close it out. SPM grabbed the early lead in the top of the second. The Guardians filled the bases with one out before Malm's infield single put them on top 1-0. SPM starting pitcher Jeff Lamothe (4 IP, 6 hits, 5 K's) successfully shutdown Newton South with relative ease over the first three innings but the junior ran into trouble in the fourth. After retiring the first two batters, the righty allowed a single to Greg Kuperman. Moments later, Alex Klapes' laced an RBI single to bring Kuperman home and even things at one.